These days, all smartphone users know, installing so many applications can make their phone slow. More applications on a phone can also cause more battery drainage, more data uses. These are the reasons why people like an app that combines many features on it. The all new AskMe Android App is a that kind of app. The AskMe app having many features like finding latest jobs, best deals in town, shopping, restaurants or hotels within it. All these features make the app most unique in Google Play Store. Within a very period of time the app AskMe crossed 100,000+ plus downloads. AskMe is a mind blowing app that allows users to search or find variety of things easily within their locality. The app stores all the required information of your day to day life to make your life simpler. 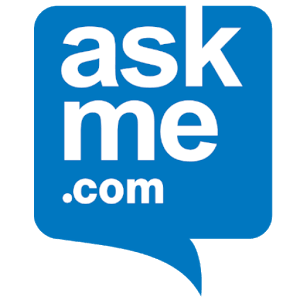 As an android phone user, you can get the AskMe app free from Google Play Store. Once you have installed the app on your smartphone, the very first thing you can see on main scren is “I am looking for” search box. Just enter the keywords and location, then tap the search button. All the information related to your query will be displayed on a new screen. If your phone or tablet is GPS enabled, the location will be automatically filled up. The app is so simple and easy to use. Almost all the key features of the app are on its homepage which make the app more user friendly. Moreover the app is light weight and use very low network data. AskMe app has almost all the features a great android app should have. All android phone users from India should download this app on their mobile to live a hassle free life. From now onwards, when you visit a new place, no need to ask people about the best hotels or restaurants, as long as you have installed AskMe on your phone. Users can find top and best deals within their locality. Users of the app can easily find latest local classifieds on jobs, vehicles, gadgets, real estate and many more. Users can post ads/deals for free. Know the quality of the goods and services listed there, by reading the reviews of other users. 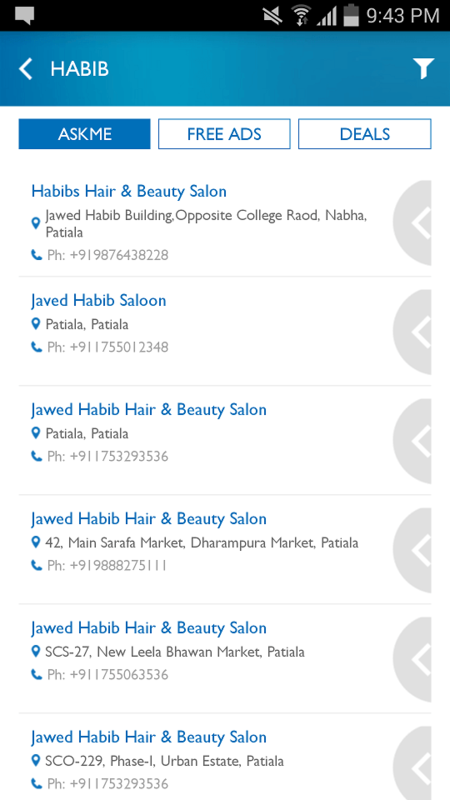 Make own list of your preferred local businesses and share the list easily with friends via SMS, email, Facebook and Twitter. As a user you can find phone numbers, addresses, payment methods, opening hours and much more information about the businesses within your locality. Users can buy products directly from their phone, using integrated online shopping store, AskmeBazar.